I would llike on dvd USA Format! I don’t understand the withdraw of this movie to us Christmas lovers. It reminds me when I was a kid and the annual reveal of the Wizard of Oz. Although not quite the same, nonetheless an excellent movie. Show it, make it available…….lest we fight another battle! Is “Battle of the Bulbs” playing more then one time for Christmas 2015? Please show more! Thank yoU!! I was very disappointed to see that its not on the 2014 Christmas movie line-up. Hoping Hallmark adds it to the line up. I LOVE LOVE Battle of the Bulbs too. Why isn’t it on In 2016? This is one of my very favorite Christmas movies ever. I would love for it to be shown each year and would buy it if it was available.The story is so sweet and I actually laughed out loud. A great Christmas movie!! I laughed through the entire movie! Watched it several times back to back! Hope it’s on television this year!! 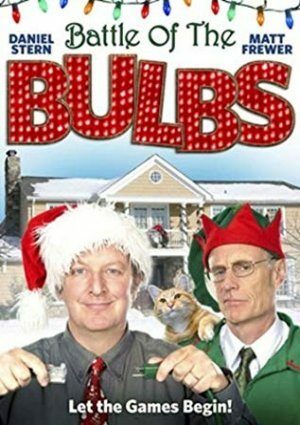 I love the Xmas movie, “Battle of the Bulbs”!!! Are you going to show that movie on any T.V. channel this year??? I couldn”t find any listing for showing it this holiday season. Please show that movie this year! It is such a wonderful movie! !